I will preface this article by saying my story can never match that of my colleague and friend Gar. I was never lying on a hospital bed with a serious illness, I was never close to death and I've never had to live my life knowing my lung could collapse at any moment in time. Given what he’s gone through and what he’s still managed to achieve is phenomenal. Nonetheless, I will tell you my story and hopefully you stay interested long enough to finish it. Unfortunately I was the latter. Now let me be very clear on this,I was never even close to seriously overweight or obese. My heaviest as a teenager was 92kg (just over 14 stone/200lbs) at 5 foot 6 inches and 15 years of age. So I was never going to be able to get on “Supersize vs. Superskinny” or anything like that, but still now and again I would be reminded that I was fatter that most of my peers and I did get slagged about it from time to time. Back then I was playing rugby so having that extra weight was no harm and I definitely used it to my advantage on the field. 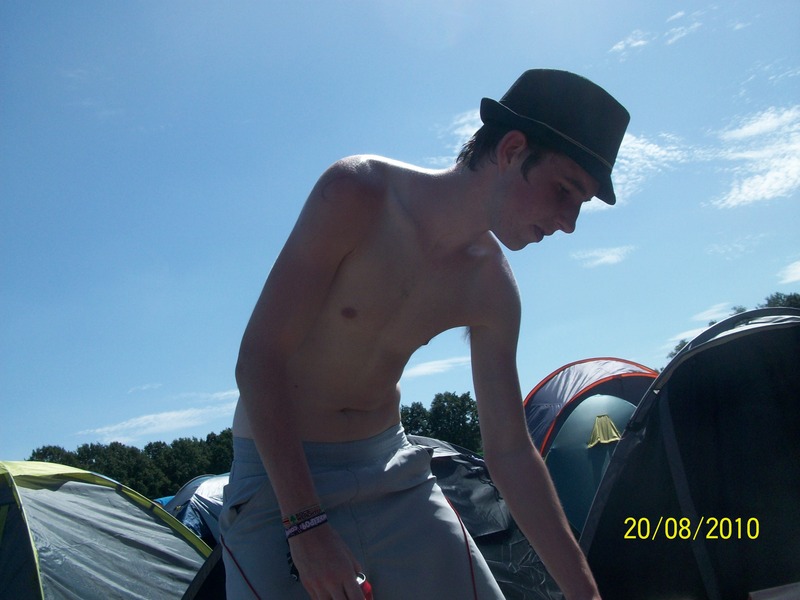 But because I was always that bit fatter than most people around me, I always had that desire to get leaner. I always wondered what a six-pack would look like on me. However my knowledge of nutrition, exercise metabolism and the science behind improving body composition was on par with a dog’s at the time. I would routinely eat sweets by the bag, biscuits and chocolate by the packet on top of plenty other food throughout the day (a lot of it good food just far too much of it) and it would not cross me a thought. In the summer of 2009 my rugby club Shannon RFC were running a summer strength and conditioning course for players on the under 16 team of the season that had just elapsed. This meant we were all going to be training in the UL Arena gym for the summer. The first night of that program we got an overview on nutrition for performance, what to eat, what to avoid and what to reduce/increase etc. That evening ultimately changed my life. Not necessarily for the information given but for the interest it generated. It was like planting a seed. From then on I sought out as much information on nutrition, dieting, hormones etc. that I could find on the internet. The second night of that program the first strength training program was outlined to us. I began to like weight-training very quickly. The instructor was very knowledgeable, paid great attention to detail and I liked the idea of having a structured plan laid out before even entering the gym (i.e. these five exercises, this many sets and reps etc.). Over the course of the summer as I continued to eat better and train more and more frequently, my body fat started to go down without too much effort. 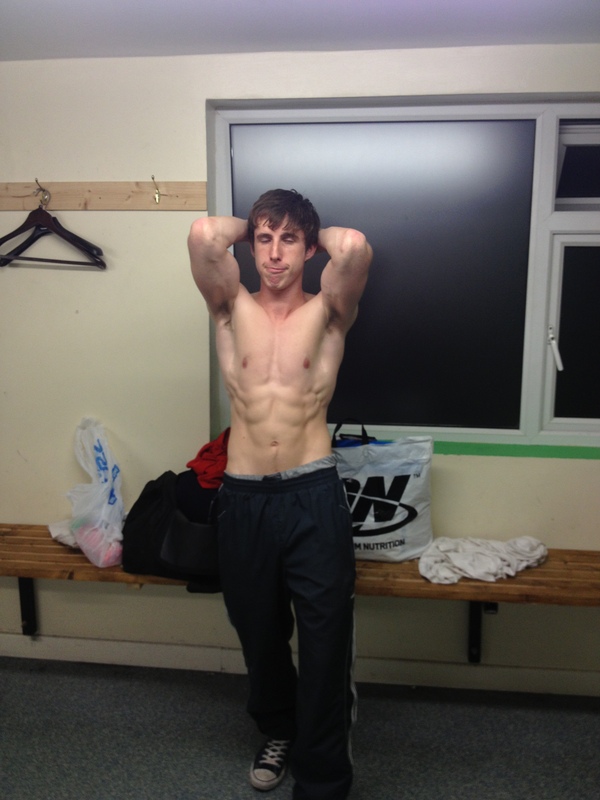 I was noticeably leaner, but I wanted more……. Once the summer finished we were done training in UL. With it being my leaving cert year it would have been impractical to fit in gym sessions out there in addition to rugby training with my school (St. Caimins Community School in Shannon town) as well as my club. So I joined a nearby hotel gym. Not the best equipped gym in the world but certainly better than nothing. It was at this stage I started following more typical “Bro-Style” training (i.e. train each muscle group once per week, absolutely annihilate the muscle with multiple exercises, short rest periods between sets and if you get less than 6 reps of an exercise the muscle won’t grow). It was complete and utter lunacy and only for the UL instructor having shown me safe lifting techniques during the summer I would probably have injured myself during this time due to my crazy intensity of effort. Once I was hooked on weight training in UL that summer, I wanted to move out there and study Sport and Exercise Sciences more than anything else. For a typical C student who didn't get higher than a B in his Junior cert (well bar CSPE, but we won’t count that), this was a tall order. In 2008 I remember checking the points for courses the previous year, seeing a course for 365 points and thinking to myself “that might be doable”. However, weight training and dieting had instilled a discipline in me that could then be used towards school work. I studied very hard whilst I continued to get leaner and leaner throughout the year. I achieved considerably more leaving cert points than I required to be accepted for Sport Science in UL. 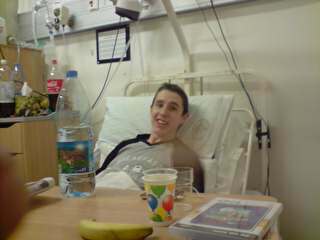 There was just one problem though, once the exams were over, I had faded away to a sickly 69kg. At the time I had developed a distorted image of my own body and would not accept that I needed to gain weight for ages for fear I would lose my six-pack. This despite having worryingly low energy levels, being much weaker than before and needing coffee just to heat my body and to get me through each day. I persisted until about the December of my first year at University, when I finally decided I needed to eat more and gain back some weight. I slowly continued to add weight whilst staying pretty lean for the next 18 months or so when I decided “It would be really cool to enter a Bodybuilding Show”. So I upped my training even more from then on (July 2012). I dieted down and got in the best shape I had ever been in. Not bad for a former fat boy eh? I was delighted with how the whole process went. And people who hadn't seen or heard from me since I had left school got quite the surprise when they saw the photos. I was determined to come back even better the following year, but I gained too much fat in the off-season and left myself with too much to do, I was 2kg heavier than the previous year but I was clearly not as lean. Whilst I didn't produce the same great results as I had in 2012, it was still an invaluable learning experience that you have to go through first-hand in order to fully appreciate. After my second Bodybuilding show, I needed a break from the Sport, I wanted something different, due to a combination of factors. It could be that I felt more irritable when I was that lean, feeling cold all the time and I suffered a lot of strength loss in the gym during my dieting period. Also, being in Ireland, there is a very narrow window within the calendar year where you can go around without a shirt on, for the most part we spend our time covered up which created a problem for me, after 4 years of training, I barely looked like I lifted weights!Finally, Bodybuilding was something I had always done on my own and I missed having friends and team-mates around to support me, which I would have had playing rugby. 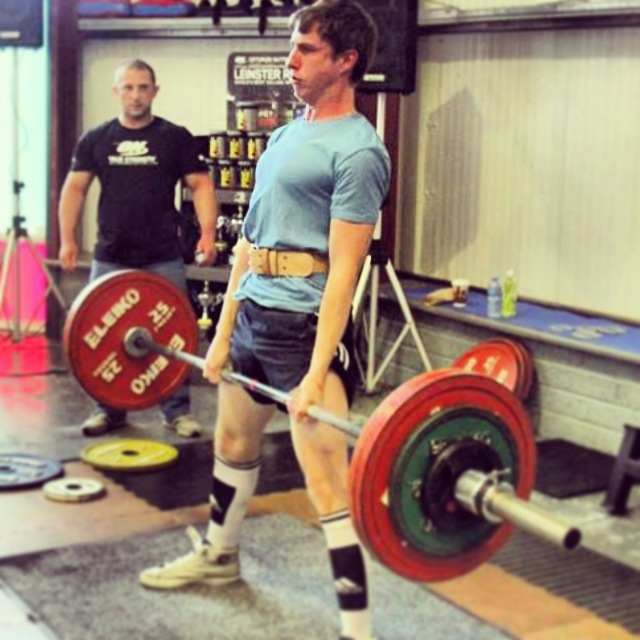 What was the one Sport I could allow my Body Fat to creep up while still looking reasonably lean, enjoy lifting weights and getting stronger, do what I’m (fairly) good at, go to competitions with friends and other competitors who would be there for moral support and that was also fun to do? That’s where Powerlifting came in in 2014. 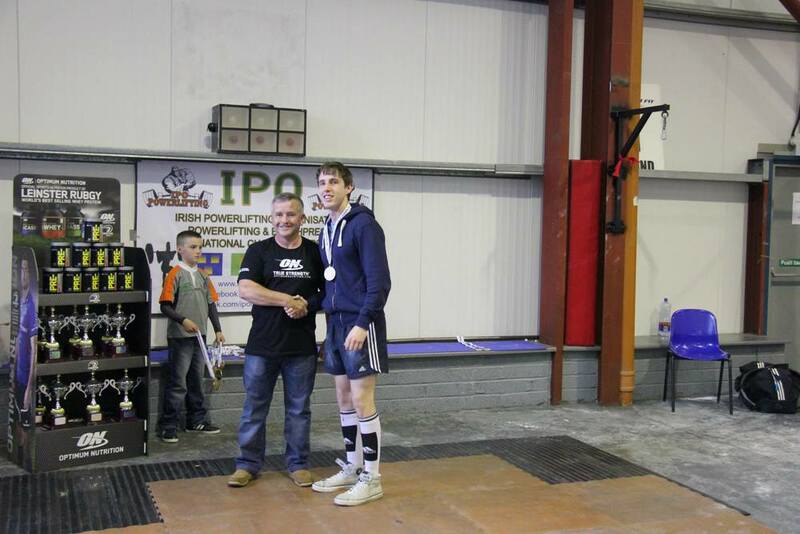 I did my first meet this year with the Irish Drug Free Powerlifting Association (IDFPA), loved the organization, the people involved and the whole euphoria surrounding the event and I am determined to come back better and stronger in 2015. I will probably go back into Bodybuilding in a few years as I feel I've unfinished business in the Sport, but for the time-being, Powerlifting has brought new happiness and excitement into my life. Here's what I look like currently, still pretty lean with just a little more bodyfat. Whilst naming all of them individually would likely take up an entire page I want to briefly acknowledge all those who helped in whatever way large or small during this time period, if you are reading this then you know who you are.